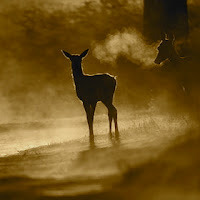 A Year of Being Here: Philip Booth: "How to See Deer"
"How to See Deer" by Philip Booth from Lifelines: Selected Poems 1950-1999. © Penguin Group, 1999. 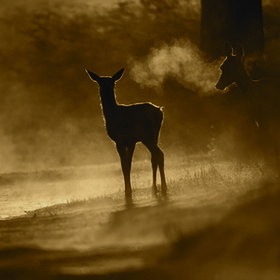 Photograph: "Sunrise Deer" by Oscar Dewhurst (originally color).